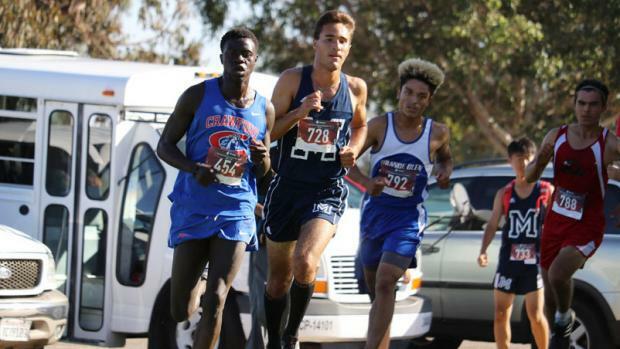 SAN DIEGO -- Crawford's Nader Ali and El Cajon Christian's Alaina Zamorano won San Diego Section divisional titles last fall and on Friday at the 31st Coach Jerry Downey XC Classic at Morley Field, they showed why it will be extremely tough to beat them again this season. Ali, a senior who said he moved to the U.S. from Egypt a couple of years ago, outlasted Maranatha's Riley Burns for the second year in a row on the 5-kilometer layout. Ali raced across the undulating mixed-surface course in 16:03, 48 seconds faster than he ran it to win in 2017 on what organizers said is the same layout. Burns, a junior, finished in 16:23 and Orange Glen senior Rashad Prince was third in 16:48 in the 184-runner field. "I knew he was behind me," Ali said. "And I knew I had to push. I needed support and my coach was there. 'Keep the same energy, and you will find yourself running by yourself.' And I did and it really worked." 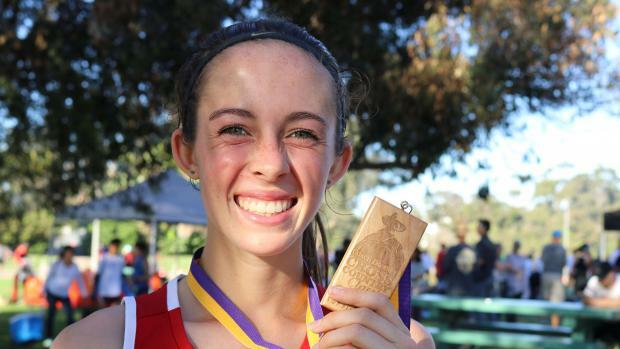 Ali won the San Diego Section Division 4 title last November and was 12th at the State meet, seventh among non-seniors. "I've been working hard this summer," Ali said. "I've been working hard basically since I left State last year." He said he played recreational soccer while growing up in Egypt and was introduced to cross country upon coming to the U.S. Ali said he took up the sport during the fall of his sophomore season. He was 26th at the Coach Downey event in 2016, running 18:59 on a course modified from what it has been the last two years. "To be honest, I never knew what was cross country," Ali said. "Once Coach (Tlaloc) Venancio introduced me to it and everyone was telling me to do it to be in shape for soccer -- that was my actual real goal -- and I decided to do it. After sophomore year, after learning the sport, and how lovely the sport is and how people come together, I felt really happy. I felt I should not leave the sport. I should continue running." Zamorano, a sophomore, was a newcomer to the sport when she won the JV Girls race here last year. On Friday, on a pleasant afternoon with temperatures in the high-70s and hardly a breeze, she pushed to the front at the start and was never really challenged, despite close pursuers throughout. Her time of 19:22 is 61 seconds faster than her winning time a year ago. "Last season was my first time really ever running," she said. "I ran a little bit in junior high and didn't really know my potential. I started off my races a little bit slower because I wasn't sure how to run a 5K. But I always want to push and get faster. I want to PR every race." Zamorano won the San Diego Section Division 5 title last November and was sixth at State. She is the No. 2 returner from the State finals. She attributed her vast improvement year-over-year at the Coach Downey race to training with the boys team at Christian, determination and faith. "I'm usually up there with them," she said. "We go on long runs and I can always stick with them. Time trials I'm usually right behind them or right with them." Mission Bay sophomore Gina Queck finished strong for second in 19:33. Kimberly Cheung, a junior at Carlsbad Pacific Ridge, was third in 19:35 after placing second in the varsity race each of the previous two years. Hector Ramirez, a senior soccer player at Crawford running in his first cross country race, blew away the field to win the JV Boys race in 18:22. Mission Bay freshman Ben Delgado was second in 18:58. Leah Kunde, a sophomore at El Cajon Christian, won the JV Girls race in 21:41. Santa Fe Christian junior Abby Roy as second in 22:08. Morley Field is the site of the Foot Locker National Cross Country Championships in December. While there is some overlap in that layout, the alignment used for the Coach Downey event primarily stays on the west side of the course and does not cross over to run the Upas Street hill.